A 77-footer is ascloseasthis to being a megayacht. Imagine, then, seeing this 76’8” (23.4-meter) yacht cruising global ports alongside the sailing superyacht she’s joining upon delivery. Yes, she’s a chase boat, as incredible as that may be. Penned by Hoek Design, she’s seeing construction at Claasen Shipyards. 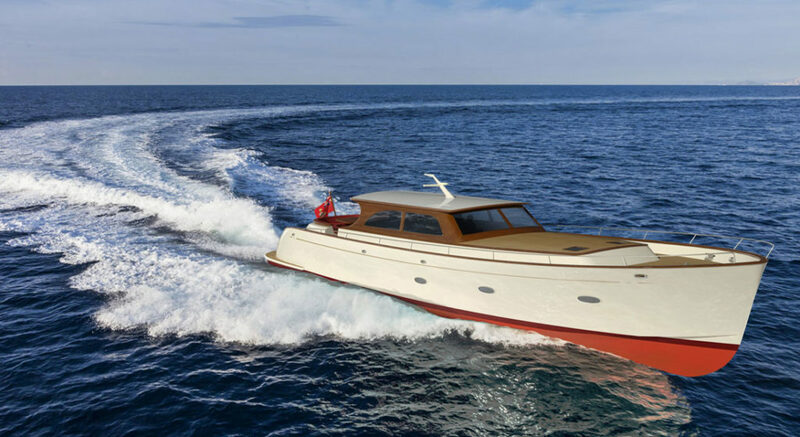 Even more notable, this Hoek chase boat has impressive performance parameters of her own. A typical tender, even a so-called large one, can’t handle what the owner has in mind. For instance, it’s important to go to and from shore sheltered from spray. Between the cabin and the aft overhang into the cockpit, the Hoek chase boat fits the bill. Since the owner and guests enjoy diving, she’ll take them out for trips, too. Besides, she’ll more easily slip into shallow bays than the sailing superyacht. Furthermore, she has fold-down steps in her swim platform, aiding divers when entering and exiting the water. Typical tenders don’t have long range, either. Since the owner prioritizes this, Hoek designed the aluminum chase boat to see 750 miles at 15 knots. The 925-hp Scania diesel engines should also allow topping out at a swift 25 knots. In addition, the owner wants the Hoek chase boat to serve as a sort of support yacht. Therefore, three cabins inside can take care of additional guests or crew. (Beam is 21’7”, or 6.6 meters.) Naturally, the interior will have joinery and detailing akin to that of a megayacht. Finally, the yacht can carry extra provisions, thanks to a big freezer. One last item of note. 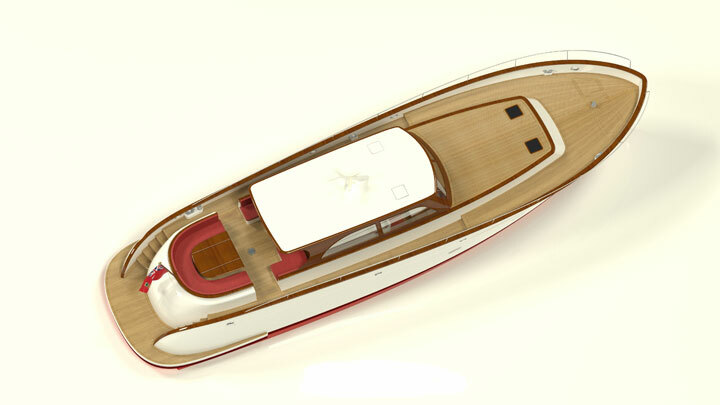 The Hoek chase boat is the 27th project between the design studio and the shipyard.